* A section on the impact of aerosols on global warming and ozone depletion. 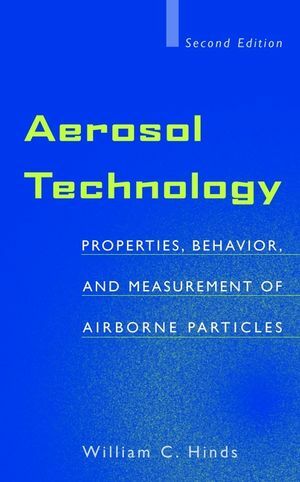 Aerosol Technology, Second Edition also features dozens of new, fully worked examples drawn from a wide range of industrial and research settings, plus new chapter-end practice problems to help readers master the material quickly. WILLIAM C. HINDS, PhD, is a professor in the Department of Environmental Health Sciences at the UCLA School of Public Health. His primary research interest is fundamental and applied research related to aerosols and industrial control of airborne contaminants, including respiratory protection. A Diplomate of the American Board of Industrial Hygiene (comprehensive practice) and a Fellow of the American Industrial Hygiene Association, he has published numerous articles on aerosols.